It's nothing personal — most of us are. We all love recycling, right? And we’re more aware than ever of the importance of disposing of our waste properly for the sake of the environment. Generally, we’re pretty good on the basics. Aluminium cans, glass bottles, cardboard. Check, check, check. But the British Science Association (BSA) just released some research — in honour of British Science Week — that showed not a single one of the 2,000 adults they quizzed about the dos and don’ts of recycling got full marks. It’s not a great sign for the rest of us. But getting recycling right is a big deal. Between 2012 and 2016, there was an 84% increase in recycling being rejected because of people contaminating it with non-recyclable items. And when that happens, the whole lot can get sent to landfill instead. 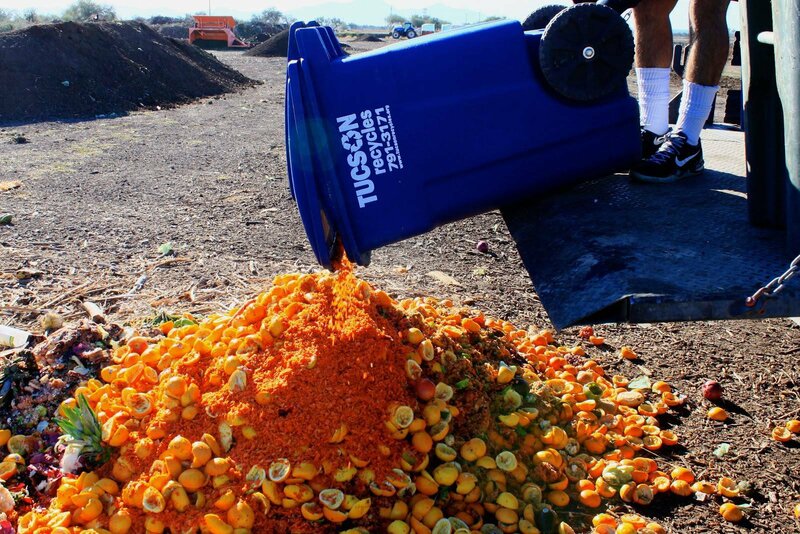 Even if a container is recyclable, if it’s got food waste on it it’s likely to be rejected. That means, wash out bottles, plastic containers, and tin cans. And it also means that those greasy pizza boxes can’t be recycled either. The best thing to do is tear off the parts of cardboard and paper containers that are contaminated and recycle the rest. It’s the same for dirty kitchen roll too. Some 34% of us think you can recycle it, according to the BSA’s research, but you can’t. According to the BSA, 44% of people are putting the pump dispenser tops of hand soap bottles in the recycling — but these should be removed from the bottle first. 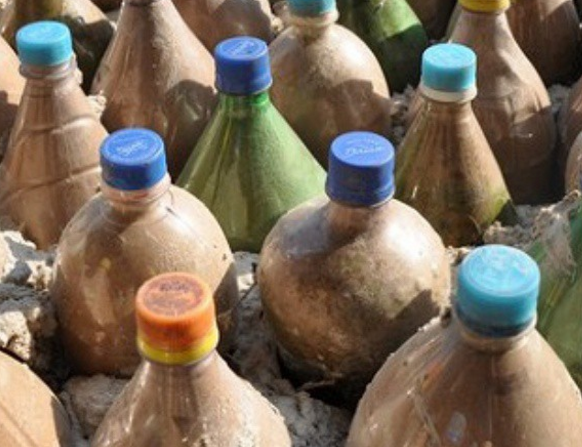 Plastic bottle tops are a much-debated topic in the world of recycling. According to the National Recycling Week website, however, you should remove plastic tops from your recyclable bottles and cartons and throw them in the rubbish. That’s because, when the lid is left on the bottle it is more likely that there will be liquid in the bottle — so it will weigh more than it should and the sorting machines can’t process it properly. Another reason is that when the top is left on the bottle, it also traps air inside. It means that when the bottles are baled together in the sorting process, they can pop back into shape and force the bales apart. They then need to be re-baled, using more energy than necessary. A second option, according to the site, is to remove the lid, squeeze out the air, and then replace the lid. This means the lid will be recycled along with the bottle, but won’t cause issues with the baling. The UK ditches 2.5 billion disposable cups every year. But of every 400 disposable coffee cups thrown away, just one gets recycled. It’s because of a thin layer of tightly bonded polyethylene liner — which is what makes the cup waterproof — that means the cups can’t be recycled in the usual way. Best option? Get yourself a reusable cup for your hot drinks. You’ll be rewarded for it. Starbucks and Costa Coffee both offer a 25p discount on any drink, while Pret a Manger recently doubled its discount to 50p. With some independent coffee shops also moving towards recyclable cups, it's worth asking whether their cups can be recycled, or whether they offer facilities for recycling. You can’t recycle these. Just don’t. Laminated pouches, crisp bags, plastic toys, cotton wool, toothpaste tubes, wrapping paper, tissues, and wine glasses (which have been heat-treated). Soft plastics — such as the bags that Quorn products come in — can be recycled with plastic bags at major supermarkets. Any recycling that’s thrown out in a plastic bag will go straight to landfill, so it’s really just a waste of your time. These can’t be recycled, and you shouldn’t even be putting them in the bin. Instead, take your electrical waste to household waste centres, or find out if your council does a collection. Disposable batteries leak all kinds of chemicals into the earth when they’re left in landfills. But most local supermarkets offer collection points for used batteries, where they will be safely recycled. Another option is to start using rechargeable batteries, so you don’t have to throw them out at all. Food is another thing that is often thrown in the bin, but often unnecessarily. Things like eggshells and peel from fruit and vegetables should really be going to compost rather than landfill. You could install a compost bin in your garden or, if you don’t have a garden, a lot of local authorities have food waste collections where the compost goes to local parks and gardens. On a similar line, what are you doing with your old clothes? According to WRAP, which works to reduce waste, a quarter of clothes in the UK end up in the bin. Rather than ditching them, you could sell your old clothes on — for example through eBay — or you could donate them to charity shops. If they're in such bad shape no one will want them, many local councils also offer clothes and textile collections. According to the BSA’s new research, millennials are apparently less inclined to recycle than older generations — with a fifth of people between 25 and 34 finding recycling too time-consuming. Just 6% of over-55s said the same. But promisingly, 80% of people said they believe recycling makes a difference. “It’s encouraging to see lots of people are concerned about plastic waste, but what you can and can’t put in the recycling bin can often be confusing,” said Ivvet Modinou, head of engagement at the BSA. Global Citizen campaigns to achieve the UN's Global Goals, which include action on life on land, life below water, and creating sustainable cities and communities. You can join us by taking action here.